With over 300 million copies sold, PowerDVD is the world’s number one movie and media player, serving up the highest quality, most immersive media entertainment experience available on PC. PowerDVD now brings this award-winning experience to your big-screen TV, with a stunning new TV Mode that lets you recreate the atmosphere of cinema in your own home. Brand new TV Mode means you can enjoy a cinema-quality movie experience from the comfort of your sofa. Immerse yourself in a movie watching experience that’s beyond anything you’ve enjoyed before. Sit back and relax while you browse and control your entertainment using your mobile phone. PowerDVD Remote has been redesigned with the new TV Mode in mind. CyberLink’s unique TrueTheater enhancements improve the quality of even Blu-ray and hi-def video, and the difference it makes to watching movies on your big screen TV has to be seen to be believed. Immerse yourself in the richest colors, sharpest images, most detailed picture quality imaginable and be blown away by dynamic, deep surround sound that will put you right in the middle of the action. No other Windows 10 compatible media player supports Roku®, Apple TV® and Chromecast™ streaming. With PowerDVD you can now wirelessly send any media to your big screen. Power-up Your Casting Device: For video, audio or photo formats not natively supported by Roku®, Apple TV® or Chromecast™, PowerDVD will convert them in real time. Superior Quality: You can apply PowerDVD’s award-winning TrueTheater technologies to anything you stream for enhanced audio-video quality. Wireless and Hassle-Free: Any video, music or photo format you watch on PowerDVD can be streamed to your TV through a Roku®, Apple TV® or Chromecast™ device. No cables, no fuss. PowerDVD is the only blu-ray player optimized for playback on Ultra HD 4K screens. Intelligent rendering technology tailors playback performance to your screen, meaning lag-free, smooth playback even on the latest Ultra HD 4K TVs. For a truly immersive movie experience you need exceptional audio. Plug in and shut out the rest of the world with PowerDVD, the only Windows 10 Blu-ray and DVD player with the unique ability to enhance video and create an eveloping surround-sound audio environment. Refinements to PowerDVD’s Instant Play technology means PowerDVD loads quicker and leaves a smaller system footprint than previous versions. Take a look at our demo video to see just how much faster PowerDVD is compared to other playback software. PowerDVD’s smart rendering technology allows you to smoothly playback 120/240 fps video. PowerDVD can automatically detect your monitor’s playback capabilities and adjust accordingly meaning you can enjoy flawlessly smooth slow motion video without any extra plugins or setting changes. Microsoft Windows 10, 8.1 / 8, 7. TV mode is the successor of PowerDVD Cinema mode and aims to provide an easier and intuitive interface for users who wish to watch movies on bigger screens. 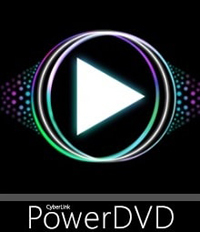 PowerDVD also makes it possible to cast video, audio and photos to several devices. Here is the full list of new features in PowerDVD. VobSub embedded subtitle support for MKV and MP4 video, and compressed external PGS subtitles for MKV files. Resolves playback issues for Blu-ray movies “Allegiant” and “Super Troopers”.